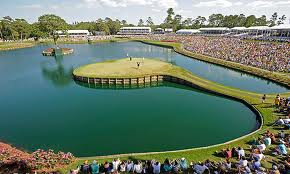 Episode 18 - The Valspar Championship headlines this week with Jordan Spieth, Rory McIlroy and Tiger Woods all playing the Copperhead Course at Innisbrook Resort, near Tampa in Florida. It's a brute of a golf course, with plenty of wind and rain very likely, so expect a technical grind. India's Number 1 tournament, the Hero Indian Open also takes place on the European Tour. The tournament sees a decent enough field and it's played at the Gary Player designed DLF Golf & Country Club, which Eddie Pepperall described last week as being designed by satan. It won't be easy! Last Week + Phil Mickelson & George Coetzee: 02:42, Honda Indian Open: 08:50, Valspar Championship: 32:57.